I'm starting out with a potential "Spring Wedding Season" outfit. I am in love with this dress from Elizabeth and James. It's deceptively unexpected. For me, it would need some hemming-I just can’t do that length, I simply don’t have enough leg. Paired with these B Brian Atwood fringy sandals in this gorgeous dusty pink color, I think it’s a pretty amazing look. 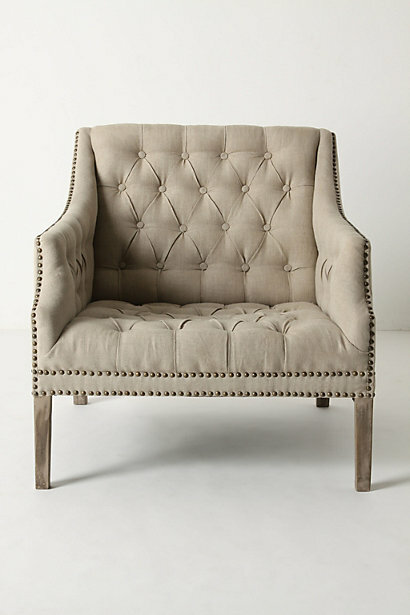 The Benson Chair from Anthropologie is my new fave. 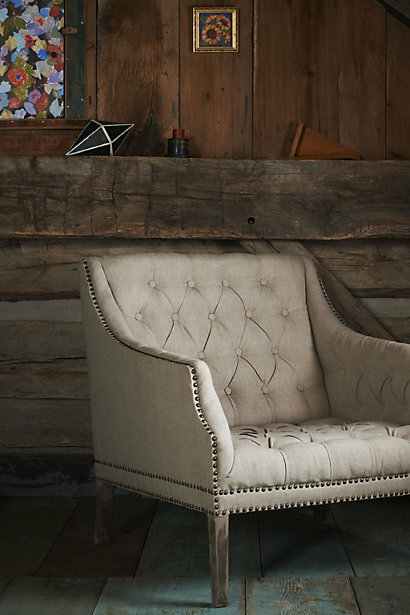 I love the depth of the seat, and the great neutral color of the linen. It's a wonderful combination of have a formal look, but a comfortable feel. It would be a great chair to curl up in and read a good book. I love this shape. Love it. Between that and the colorful print you can dress this up or down. Finally, colorblocking is not just for clothes. 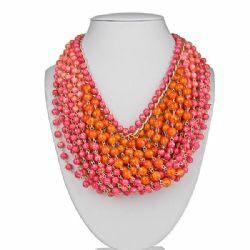 This necklace is a great way to incorporate the trend into your accessories. AND! It's only $60! It's fab. And I think they have a turquoise color wave too!! !